As New Mexico’s largest independently-owned office supply store, you can count on Sandia Office Supply for all your office supply needs in Albuquerque and throughout the country. We are committed to providing you with the personalized service you deserve and have knowledgeable account representatives available to recommend and guide product selection. 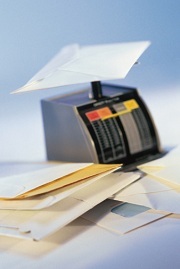 Our extensive inventory of mailing supplies can help your business easily ship documents and parcels anywhere you need. Browse our online catalog of supplies online or speak with a representative today. All of our products are available with FREE next day shipping—both locally and nationally. Our team of experienced professionals is ready to help you find the mailing labels and supplies that you need to make shipping more efficient for your business. With over 30,000 products to choose from, Sandia Office Supply is your single source solution for all of your office supply needs. Contact us today to set up an account. Call 505-341-4900 to order your office supplies with Sandia Office Supply today!